Google Maps has integrated Wikipedia articles and geotagged photos so you can see points of interest and images of any geotagged photo on a Google Map.... for geotagging , maybe, you can try the GT-100 i-gotU Travel Logger , its software is excellent, only a few clicks, it will automap your photo with GPS information, Moreover, i-gotU desktop also allows you to export in multiple file formats while integrates with popular web album Picasa & Flickr. 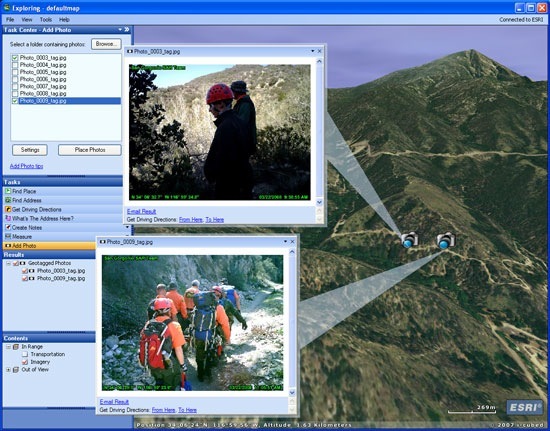 Just click here to add the Picasa Web Albums Mapplet to your "My Maps" tab. 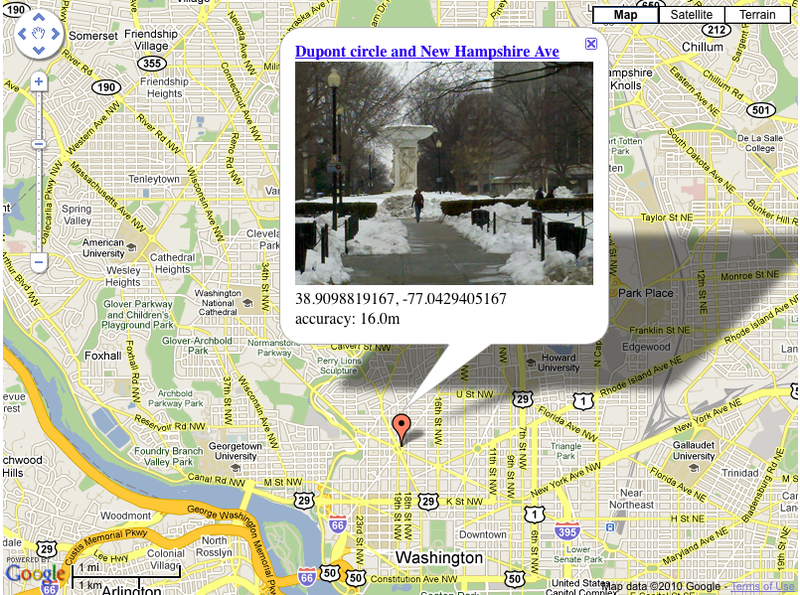 Then, zoom in to your favorite spot on Google Maps, enable our Mapplet and watch the photos roll in! You can see what snapshots exist of your favorite getaway or take a virtual vacation to Paris. The world is your oyster. Geotagged photos have all you need to add them stored in the EXIF formatted data in the image. 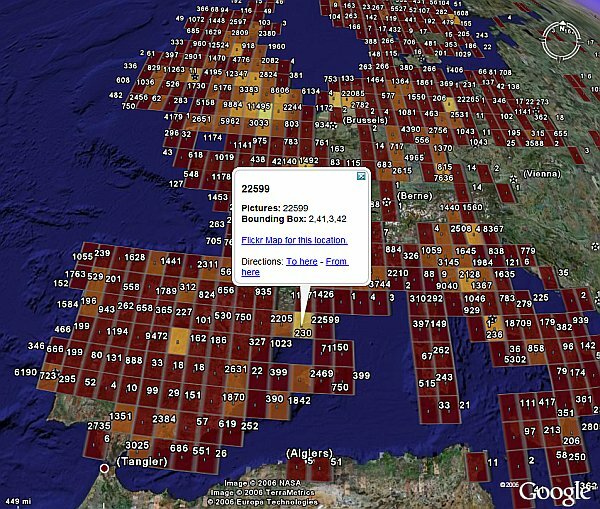 And ArcGIS Online webmaps support adding features to your map via a CSV file. I've geotagged the photos before uploading to flickr. But I still have to choose "Add to your map" for every photo in order to make them appear on the map. But I still have to choose "Add to your map" for every photo in order to make them appear on the map.